Italian renaissance toen. 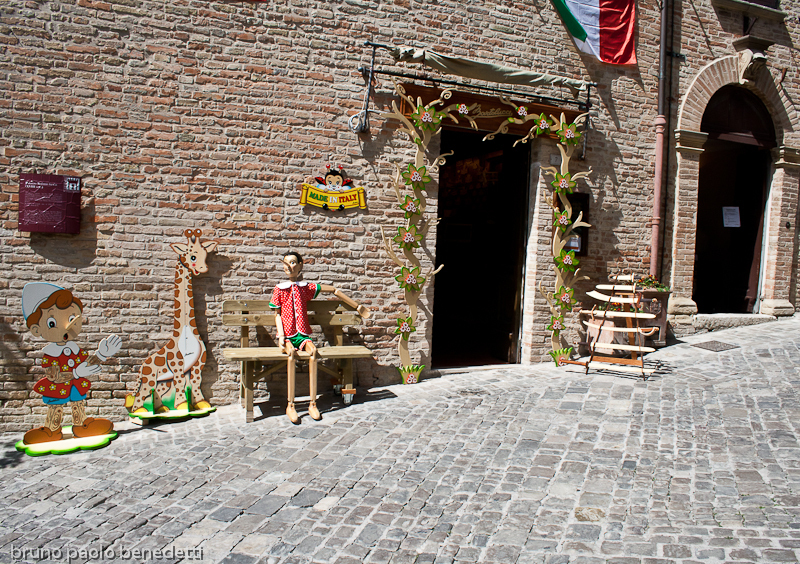 Glimpse in Gradara. Shop of toys and souvenir in the center. Typical renaissance architecture. Picture with sharp focus on pinocchio sitting on a bench outside of a shop. Picture taken from left. On street going above to the right side. Line of sight to right.